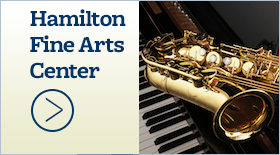 May 21, 2018 - Hamilton School District. The Hamilton School District presented the CLASS (Community Looking After Student Success) with its 2018 Community Service Award at the May 21 School Board meeting. Public Information Coordinator Denise Dorn Lindberg said CLASS, the citizens’ group that advocated for passage of the Feb. 20 referendum, was deserving of the district’s highest award because its members worked tirelessly to inform the community about the referendum. “Because the referendum was successful, every student, every family, every staff member in this district will be affected positively – and not just this year and the next, but for decades to come,” Lindberg said. School Board President Gabe Kolesari (left) and Superintendent Paul Mielke (right) presented CLASS Committee members with the Community Service Award. CLASS Committee members are (beginning second from left) Sandi Blackwell, Fran Clouse, Jamie Schounard, Jennifer Waltz, Liz Mrozinski, Sean Kane, Kelly Wasserburger, Denise Schwid, Marlene Helinski, Stephanie Fox, Wendy Mair, Jen Galang, Bill Haley, Cathy Berrall, Melanie Vonachen, John Washbush, Kristin Westby and Jenna Mielke. CLASS Committee members not pictured: Becky Hubred, Debbie Lykins, Courtney Myhre, Mindy Steighner and Peggy Youngblood. 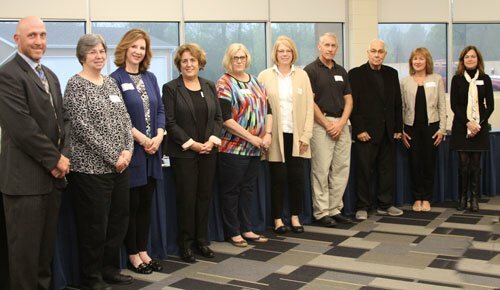 The 2017-18 retirements of nine district employees were commemorated at the Hamilton School Board meeting. Combined, the employees provided 199 years of service to the district. Principals and supervisors read commendations for each retiree. Each retiree was given a retirement gift. Superintendent Paul Mielke (left) and School Board President Gabe Kolesari (third from right) honored retirees. They were (starting second from left) MaryJo Liermann, Lisa Sorenson, Mary Wimmer, Betsy Buchholz, Kathy Schulz, Andy Matthiesen, Patty Coburn and Donna Uselmann. Not pictured: Pauline Phillips. 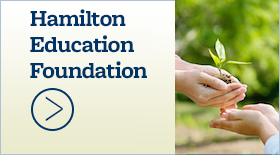 The Hamilton School Board gave its approval for the 2018-19 budget that will be presented to voters at the Annual Meeting. The budget totals $57.5 million, which is a 3.99 percent increase over the current budget. It assumes property value will increase 3.55 percent and state aid will increase 4.56 percent. The tax rate is projected to be $9.55 per $1,000 of equalized property value – $1 more than the current rate. For each $100,000 of property owned, citizens will pay $955 to support local school taxes which is $100 more than this year’s rate. If student enrollment and property value are greater than the conservative assumptions made in the budget, the tax rate will be lower. Public Information and Volunteer Program Coordinator Denise Dorn Lindberg updated the School Board on the Seniors & Students Program, a volunteer program designed to recruit, train and place senior citizen volunteers age 55 and older in the district. 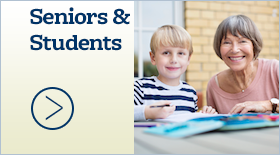 Approximately 225 senior volunteers serve throughout the district. More than 121,000 volunteer hours have been logged since the program began 20 years ago – a value of more than $2.5 million. 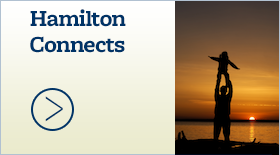 The district received 152 applications from nonresident students to attend Hamilton schools under Open Enrollment. No spaces are available in the district, so applicants will be placed on a waiting list for the 2018-19 school year. The district will monitor expected enrollment throughout the summer to determine if students will be recommended for placement at schools based on space availability. 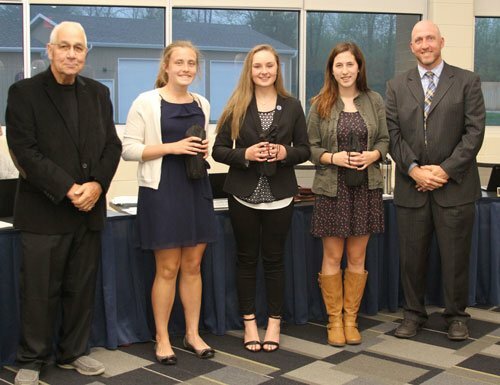 School Board President Gabe Kolesari (left) and Superintendent Paul Mielke, Ph.D., (right) recognized Hamilton High School students (from left) Haley Pifher, Hannah Wenger and Mikayla Cup for their service to the School Board as the student representatives during the 2017-18 school year. appointed Cody Leland as Templeton associate principal, Brian Groth as Hamilton High School social studies teacher, Timothy Kruschel and Lisa Benishek as Templeton grade 6 critical literacy teachers, Tammara Metzenheim as high school custodian and Jennifer Ryman as high school science teacher.